Osama Elfeky / Sam Elfeky is the founder and president of Star Light since 2001. He also operates several businesses around the globe. Read his bio on this page. 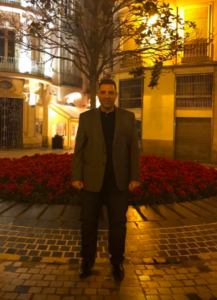 Osama Elfeky / Sam Elfeky has several projects around the globe including apartments in Marbella, Spain & car rental in Marbella, Spain. Read more about his projects on this page. Osama Elfeky / Sam Elfeky has other websites, blogs, and social media. Please visit these links and share the, with your friends and on social media! See them here!